Less than nine months before the Woodstock Music and Art Fair and its 130-plus performers, the Rolling Stone Circus came to town. Organized by the Rolling Stones just after their release of Beggars Banquet, they were looking for a way to promote the album in a fun way. Why not a Rock and Roll Circus? They filmed it on December 11, 1968. As well as clowns and acrobats, John Lennon and Yoko Ono performed as part of a super group called The Dirty Mac which included Eric Clapton and Mitch Mitchell, and Keith Richards. The Who, Taj Mahal, Marianne Faithfull, and Jethro Tull also performed. It was originally meant to be aired on BBC, but the Rolling Stones withheld it because they were unhappy with their performance. A film was eventually released in 1996. Here’s the Lennon clip with some wonderful conversation between Mick and John before “Yer Blues.” Two mates having some fun. “You Can’t Always Get What You Want” with Woodstock Music and Art Fair alum Nicky Hopkins on piano (he sat in with the Jefferson Airplane for their sunrise serenade). Sadly, this also marked the final appearance of Brian Jones, who died within six months of filming the special. 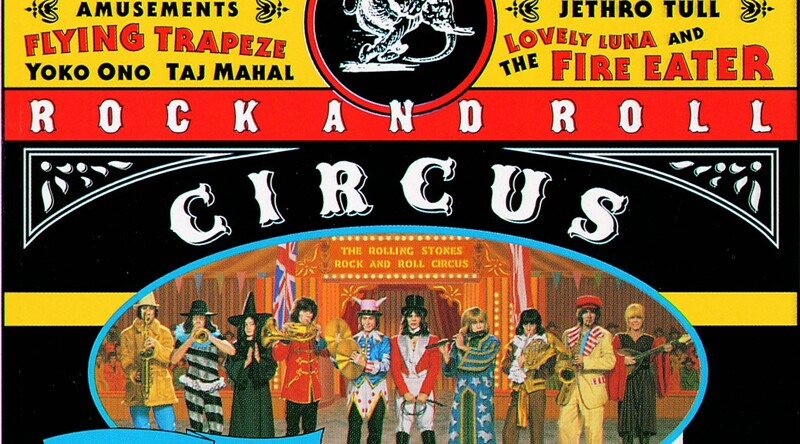 The Ultimate Classic Rock site says, For all the controversy and mystery surrounding it..‘The Rolling Stones Rock and Roll Circus’ now comes across as a quaint time capsule of the last days of Swingin’ London. And as strange as the idea of combining a rock concert and a circus may be, it manages to work, even if the only person who wasn’t stoned was the guy who ate fire.